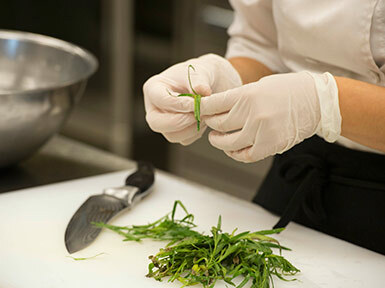 The Certified Dietary Manager Non-Credit Training Program is intended for food service managers and supervisors who have at least three years of experience in non-commercial foodservice operations or kitchens. 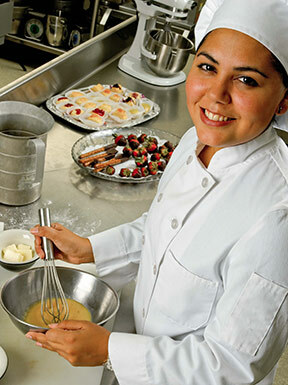 The online training program includes courses in Nutrition with Medical Nutrition Therapy and Foodservice Management. Field experiences provide an opportunity for practice of key concepts (150 hours of field experience). Upon completion of the certificate, graduates are eligible to take the certification exam from the Certified Board of Dietary Managers (CBDM). The program lasts for two semesters. Other job titles include Food Service Managers, Food Service Supervisors, Dietary Manager, Kitchen Manager, Food and Nutrition Manager and School Meal Service Manager. 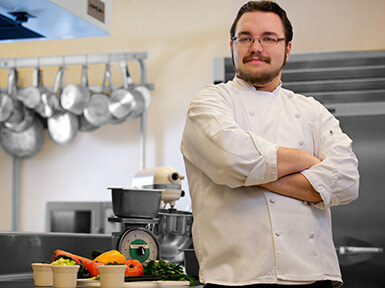 Individuals working in a foodservice supervisory role with a minimum of three years’ experience may elect to complete the Certified Dietary Manager Non-Credit Training Program. Have a current ServSafe manager certificate. If you need ServSafe certification, please visit our training page. The cost of the training program is $2,650. Books and exam fees are not included. Payment for 50 percent of class is due upon acceptance into program. The second half of the payment is due following completion of course one. Contact us three business days prior to the class start date to receive a full refund. Cancellations made after this, or prior to the class starting, will receive full credit to be used toward another class (within 1 year). No refunds or credit will be issued for cancellations after the class has started. Will your employer pay for your tuition? If so, ask them to complete this form. Go here for information about paying for the program. Contact Brandi Smith at (567) 661-7357 or wcs@owens.edu. 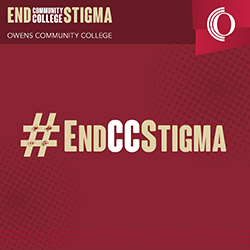 Complete the following forms and submit them to joann_gruner@owens.edu. Note: The below forms are included in one document found here.